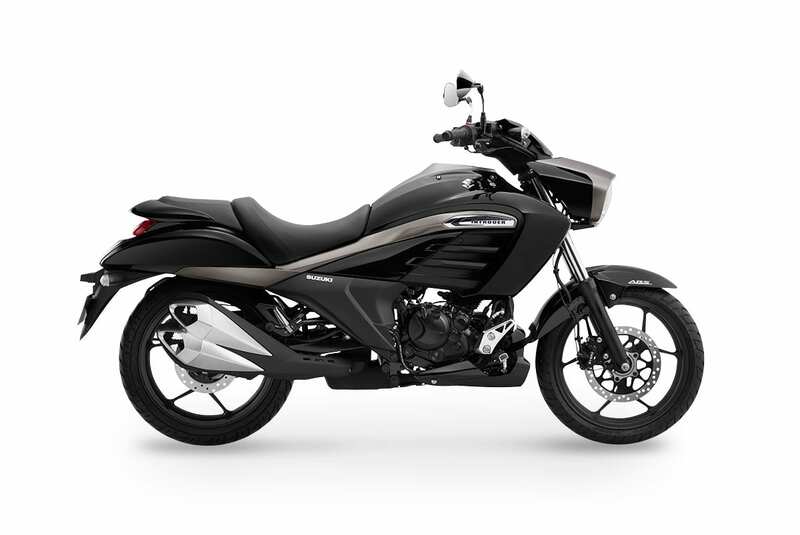 The all new Suzuki INTRUDER 150 a India’s new modern crusier vehicle introduced in india with the new stlyling ,performence and features in the sporty segment. Coming to the front look the stylish headlight with the LED lamp that enhances the look of the bike with the fully equipped digital meter which look like a smart phone come with the RPM meter as well the READY GO text appears when the ignition is switched on and the adjustable buttons on the panel of the meter to set the trip reading. The rear tail comes with the LED light gives the sportty look to the Intruder and the exhauster with twin dual outlet type whcih improve the efficiency and gives the sporty look. Suzuki Intruder got the Anti-lock brake system(ABS) which controls the force braking efficiency on the slippery road and Powered by SEP(Suzuki Eco Performance).